Our dentists at Smile Place Dental specialise in orthodontic treatments like braces to help move teeth that are crooked or that do not fit together right. At Smileplace, we offer a couple of alternate treatment options to traditional orthodontics. Come in for a free assessment to see if these alternatives are the right choice for you. With safety in mind, Fastbraces Technology was developed to straighten teeth differently allowing for a fast, safe and affordable solution. A “No Braces” solution to address crooked teeth. Straight teeth the natural way. 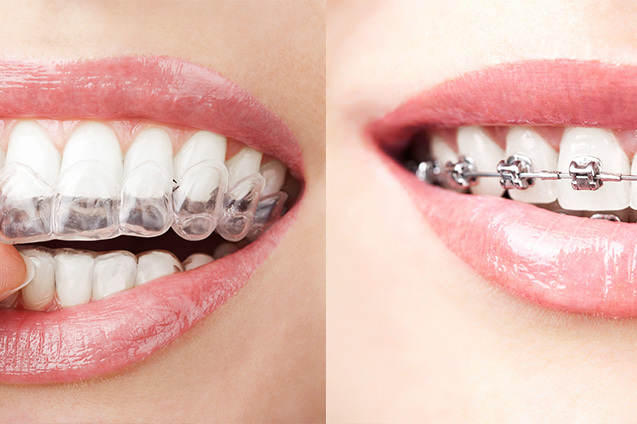 Clear Correct invisible braces is the simple, effective way to straighten teeth so you can show off your smile.